Hello my lovely blog Friends! The year is almost over and I want to show you some of my favorite images which I have coloured in 2011. All images are coloured with Copics, you know me, I love my Copics , lol. That's why I am giving a CANDY. My candy is a Copic class by Suzanne Dean at Color Me Creative Classroom. You can choose from Class 1, or 2, or 3, or 4, or 5 HERE. Just put your name in the Mr.Linky and I will choose a Winner on 7 Jan. 2012. Please spread the word about this Candy! 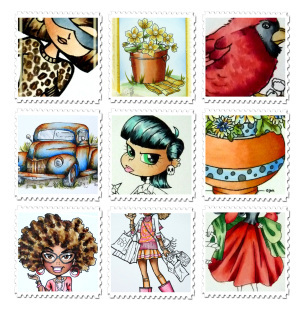 My cards are with Images from Mo, Elisabeth Bell, Carmen Medlin for SCACD, Michelle Perkett, Victoria Case for SCACD, Wee Stamps, Whiff of Joy, Magnolia stamps, Spesch Designer Stamps, Sassy Studio Designs, Karen's Doodles. Wish you all a wonderful and happy New Year 2012. I hope everyone had an amazing Christmas time! As you all know I am back home to visit my family. So, I don't have a card today for my post at The Digi Bell's Blog, I made a slideshow using some of my projects made with the digi image's by Elisabeth Bell. All image you can find HERE. That's one of my Dream Came True to work with the images by amazing and talented Elisabeth Bell and the adorable ladies from The Digi Bells. I hope you will enjoy the slideshow! 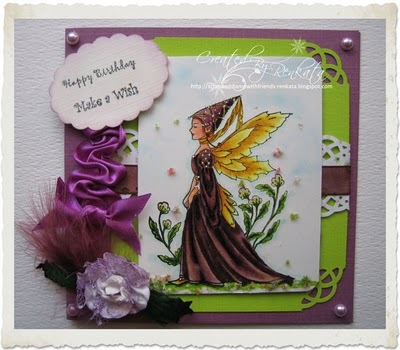 For my card I did use -Pearls, Ribbon, Chipboard. The image is "Star of Bethlehem" by Elisabeth Bell for "Belles'n Whistles Stamps"
This precious image is coloured with Copics. 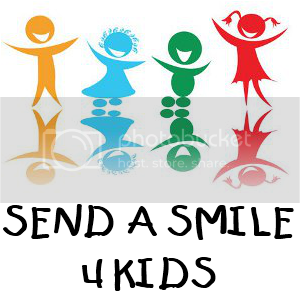 You have untill 25 jan. 2012 to join us. I am on my way home to visit my family. Have a Happy Holiday's everyone! 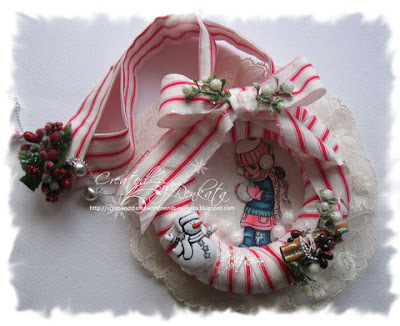 Today I want to show you a Christmas Ornament, which I have made for my teamie at The Digi Bell's ~ Wendy! For my ornament I did use the adorable image "Snowball" by Elisabeth Bell for Belles'n Whistles Stamps. As you all know by now I love the Elisabeth Bell's images, but I also love my Copics. I can't imagine to colour image without them,LOL. This is one of my dream came true to be on the DT of this amazing group. Thanks Suzanne for having me on your DT. Have a wonderful time colouring. With Christmas around the corner I want to show you the gift which I hve recived from my Secret Santa. At The Digi Bells team we exchange a hand made Christmas ornaments. Thank you Secret Santa - Sebrina for the most precious Snowflake ornament with this adorable image by Elisabeth Bell for Whiff of Joy. Here is the ornament made by Sebrina for me. Thanks dear, I love it! Also the CMC Challenge Group is having a HUGE HOLIDAY CHALLENGE thru Jan 5th and lots of great prizes! Everyone is welcome to join in with Copics, ProMarkers, Distress Inks & Colored Pencils for this challenge ok!! So read all details below and hop on over HERE to join in the fun!! NEW CHALLENGE #33 will run until January 5th! Today we the Digi Bells ladies are having a Blog Hop to showcase the new most adorable digi image by Elisabeth Bell - The Littlest Angel . If you came here from so kind and talented Janiel you are on right place. I have created a Christmas star, which is a great gift for someone special. I am sure she is looking at her friends down there, don't you think, lol?! You can win this cutie by doing the Blog Hop or doing the Blog Hop and make a project "Any Christmas" using any Elisabeth Bell's image. Please post your project at the Digi Bells blog. 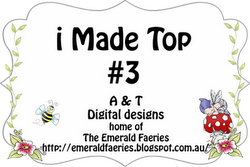 You have untill 30 Dec. to do the Blog Hop and make a project. I hope, I will give you some Holiday Cheer with my project! Now is time to Hop over at sweet Wendy . Today my card is in the honor of Suzanne J Dean . We the girls from CMC Copic challenge group are giving our boss Suzanne a treat, lol ! I am so proud to be on yours DT, thanks dear! 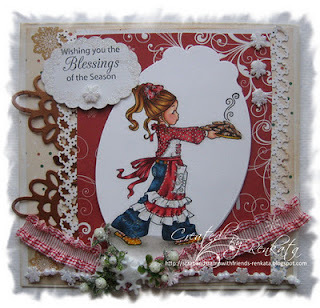 I have created a Christmas Party card with the adorable and pretty "Pepper With Gift" by Elisabeth Bell for Belles'n Whistles Stamps. Wish you and your family a very special Christmas and a Happy New Year ! Here is my card for you! Inside the box is your gift :) . Suzanne, please visit Ruby and Steph on 16 dec. , they have something special for you. Today at the CMC Copic Challenge group we are having a new challenge for you. Holiday Joy in Golds, Creams & Whites - Use your Copics or ProMarkers and show us your amazing projects. 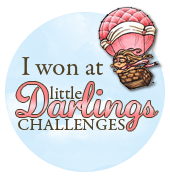 For this Challenge we do have a lot of PRIZES! But I will not tell you, lol . For my card I did use the precious image "Snow Angel" By Elisabeth Bell from the Snowbabies collection .... a Collection with a CAUSE, you can read all about it HERE. 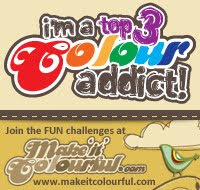 Suzanne Dean owner of Colour Me Creative Classroom is having a brand new Class 5, it's something you don't want to miss. Let's write a letter to Santa, what you wish for Christmas?! Today my card is with adorable digi image "Letters to Santa"by Elisabeth Bell, you can get yours HERE. For more inspiration , please visit our Digi Bells Blog. Today I want to show you a card, which I have made with the gorgeous digi image "Snow Goddess" by Michelle Perkket, her images are so enchanted and gorgeous. The image is coloured with Copics. I really love how she look like, lol. News: I am proud to announce, that I have been invited by Wendy to join the design team at Digital Delights by Louby Loo . Elisabeth Bells World challenge is still on you can see it HERE. 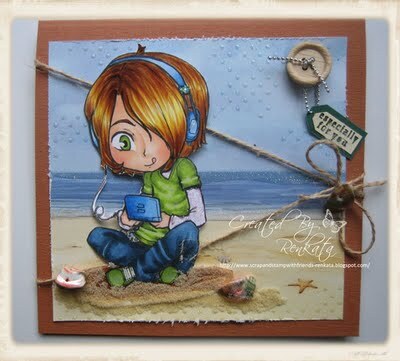 CMC Copic challenge group -Funky Hair Colour, you have still time untill Dec.9th. to join us HERE. Colour Me Creative Classroom with Suzanne Dean have new Class 5, it's something you don't want to miss. I wish you a magical week. 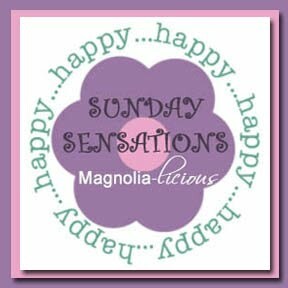 Happy Sunday my lovely blog friends! Sorry I have been MIA, but so busy these days. Today I am here with some very adorable Christmas ornament to show you. I did use the adorable Tilda from Magnolia's images. I love to try new things in colouring, lol. That's why she have a face ! She is coloured with Copics in Pink, Red and Cream.